To ring in 2017 right, a New York–based preservation advocacy group has created a map that could change the way we see lower Manhattan. The Greenwich Village Society for Historic Preservation (GVSHP) this week debuted its Civil Rights & Social Justice Map, an interactive tool that reveals key downtown sites where women, LGBT people, immigrants, Latinos, and African-Americans have fought for equity, dignity, and representation. 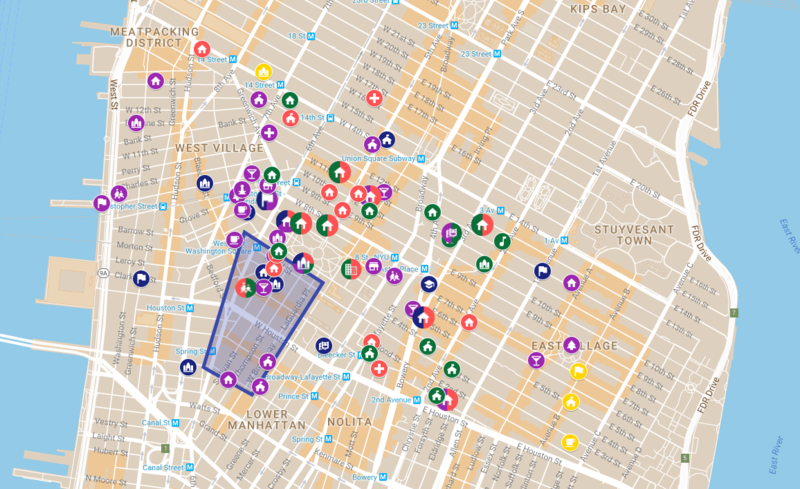 Covering its home base, Greenwich Village, as well as the East Village and Noho, the map features places and short blurbs about homes of well-known activists, streets, gathering spaces, and houses of worship. The map draws on the success of the recently-declared Sullivan-Thompson Historic District, which the GVSHP advocated for vigorously. Preservationists are the first to say that the district, also referred to as South Village, is architecturally rich, but its cultural history is just as important. In its designation the Landmarks Preservation Commission (LPC) noted that the rowhouses and tenements illuminate the Italian-American immigrant experience in New York, among other group. In addition to famous sites like the National Register–listed Stonewall Inn, the map depicts some of the city’s first African-American churches, anarchist Emma Goldman’s house, and the Charas-El Bohio Community Center, which served Puerto Rican residents and which neighbors are trying to revive once again. GVSHP intends to update the map “regularly”—if an important site is not listed, readers can email info@gvshp.org with information and sources for consideration.